I will admit I love high end makeup, but when I find something that works as well but is a fraction of the price, it’s like a little victory. I’d seen Morphe Brushes pop up on Cult Beauty, Beauty Bay and other blogs in the form of, obviously, their makeup brushes, which also look amazing for how little they cost, but it was the Morphe Eyeshadow Palette that caught my attention. So, I decided to try out the Morphe Brushes 35 Colour Warm Palette which, as you can imagine, contains 35 shades for you to mess around with and create your own looks. 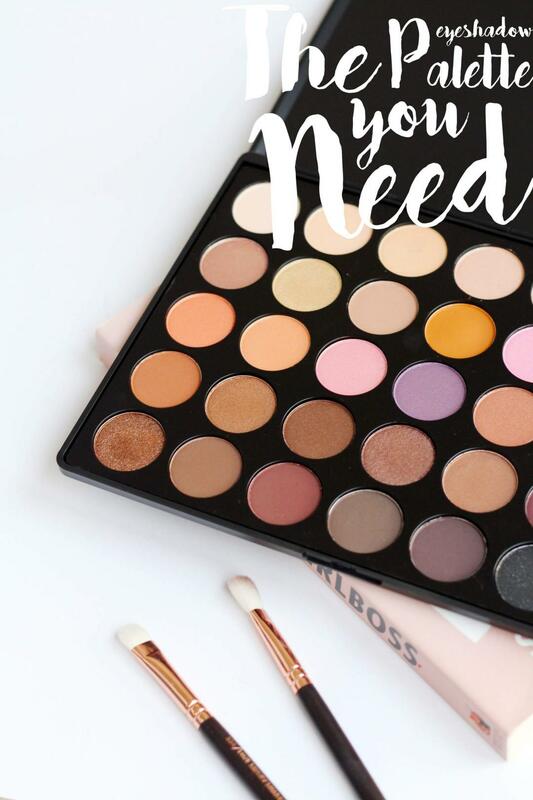 They do have a range of palettes available, from neutral/taupes (which I’ll be picking up next) to bright hues and more, so you can get the perfect Morphe Eyeshadow Palette for you. I mean, for £15-£21, you can’t argue with the selection of shades, especially as the same amount from MAC would cost you over £300! And the shadows themselves? They’re pigmented, buttery soft and contain a range of matte and shimmer shades. My favourite has to be the gold in the bottom lefthand corner, the colour is insane when applied and they have great longevity. All in all, it’s a fantastic eyeshadow palette both in the range of colours and the overall quality. They’re definitely a brand to watch and try out if you’re after a new has-it-all palette but don’t want to spend a bomb! Have you tried Morphe Brushes before? Or the Morphe Eyeshadow Palette?